Maybe you have your at-home dental care routine down and you keep up with regular visits to the dentist, but you still aren’t proud of the way your teeth look. At Toothology, we want you to be completely confident in your smile, and we can help get you there with cosmetic dentistry. From small adjustments to big transformations, we can design a treatment plan that delivers beautiful results. 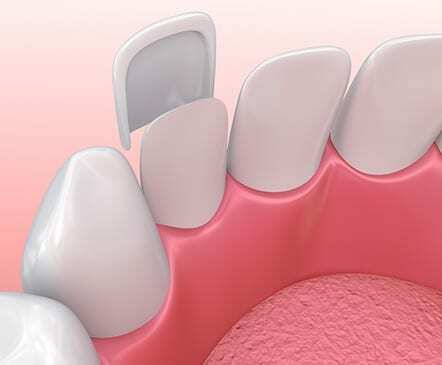 Veneers and Lumineers are thin shells (made from stain-resistant, medical-grade porcelain and ceramic) that we bond to the outside surface of your teeth to change their appearance. They are custom-made based on your needs to provide a natural appearance. The Toothology team takes great care to ensure that your veneers or Lumineers will result in an aesthetically pleasing smile. The main differences between the two lies in how thin the material is and much prep work is required on the teeth before placement. If you have cracks, chips, stains, or gaps, then you can benefit from veneers or Lumineers. They can also help people with minor tooth misalignment, uneven teeth, and worn down teeth. Custom tray teeth whitening is similar to the tray whitening kits you would buy at the store, but we take molds of your teeth beforehand to create trays specifically designed for your mouth. Because of their personalized fit, they’re more comfortable for you to wear and they more evenly distribute the whitening gel on your teeth. You’ll put the gel in the trays, pop on the trays, and wear them for the specified amount of time to brighten your teeth. People who would prefer to whiten their teeth at home, on their own schedule can benefit from custom tray teeth whitening. It’s also a good option for those looking for professional whitening results at a more affordable price compared to in-office treatment. 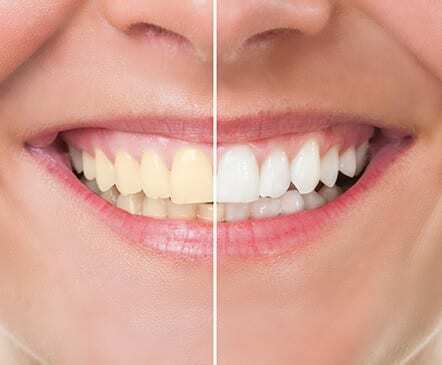 With one-visit teeth whitening, we apply a bleaching gel to your teeth and then use a special light to activate and enhance the whitening process. Since this procedure takes place at our office, our team will be there to customize the procedure based on your whitening needs, monitor the entire process, and minimize any sensitivity that comes up. 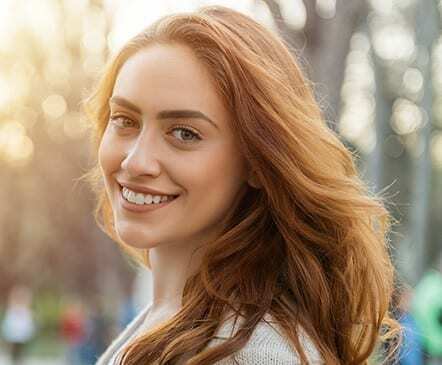 One-visit teeth whitening is a great option for those who want to get results as soon as possible (especially those who have a special event coming up!). Many patients who get this cosmetic procedure like how they can walk out of a single appointment with a noticeably whiter smile. Snap-On Smile is removable cosmetic arch that you literally snap on to your teeth. We take an impression of your teeth, you get to pick the style and shade of your arch, and then we bring you back for a final fitting. This cosmetic treatment is a good solution for patients who want to transform their smile but can’t make the financial commitment required with other procedures, or who don’t want to get an invasive, more permanent procedure done. Clear orthodontics, or clear aligner therapy, is an alternative to traditional braces. 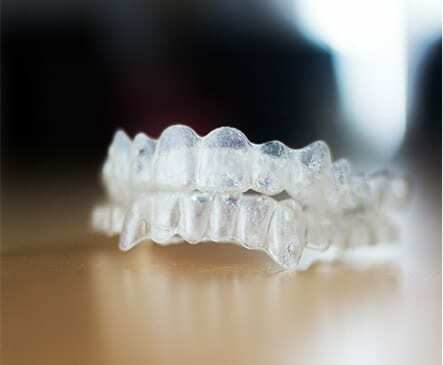 Instead of using brackets and wires to move teeth, this type of treatment uses clear, plastic aligners, which many patients find makes it a more comfortable, more convenient choice. We offer two types of clear orthodontics: Invisalign® and ClearCorrect™. Clear orthodontics can help patients who have minor to moderate alignment issues, including crowding and spacing. They’re a great solution for those who have always wanted to straighten their teeth but haven’t because they don’t want to wear braces. Great staff! A very warm and welcoming environment. Everyone was so helpful and willing to answer any questions we had. Best dental experience I've ever had. I appreciate their various dental plans. Did not feel pressured to do anything other than what I came in for. Made me feel very at ease. The ladies there are also very friendly and make sure you understand everything that is going on. “ I definitely will be going back to Toothology for a number of years. Five stars all the way!